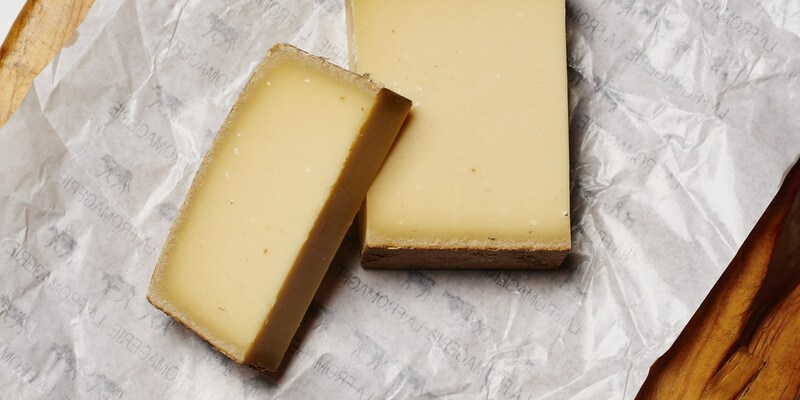 Taking its name from the town of Gruyères in Switzerland, Gruyère is a firm textured cows milk cheese that is popular throughout Europe, and in French cuisine in particular. It is an excellent cheese for baking and sauces as, while its nutty flavour is not overpowering in a dish, it has a wonderful melting texture. The Galvin brothers’ take on the classic soupe de poisson, a signature dish on their Bistrot de Luxe menu, is topped with grated Gruyère which melts over the hot soup. Dominic Chapman also utilises Gruyère’s wonderful melting texture in his ham hock macaroni cheese recipe, a hugely comforting dish flavoured with braised ham hock. Or, for a recipe to impress any cheese-loving dinner guests, try Galton Blackiston’s bacon and Gruyère soufflé - garnished with a crispy bacon ring.